Chinese Medicine constantly refers back to its sources in order to initiate the new. 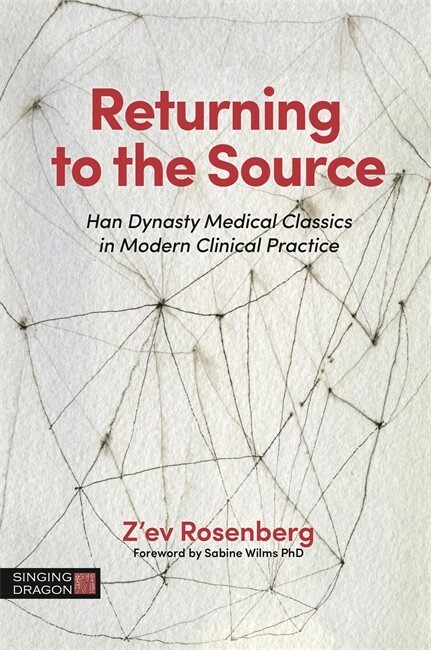 Its source code is in the Han Dynasty medical classics, and in this handbook esteemed practitioner and educator Professor Z'ev Rosenberg shares the knowledge from his study of these classic texts and his experiences treating difficult cases. In the tradition of the scholar-physician commentaries, Z'ev Rosenberg comments on the Simple Questions that introduce the core principles of the Inner Canon; explaining how these inform his methodology of diagnosis and advising on how biomedical diseases can be retranslated into sophisticated Chinese medical diagnoses including patterns of differentiation, sequential diagnosis, synchronicity, season, climate and environment. He discusses how Chinese medicine can use unique diagnostic parameters to rebalance the landscape and chronobiology of the body and address the greatest clinical challenges of our time, including the contemporary epidemic of autoimmune disorders. Written in the tradition of scholar-physician commentaries, this book examines how the wisdom of the classic Yellow Emperor writings can enrich modern practice in Traditional Chinese Medicine. Focusing on the Simple Questions that open the Inner Canon of Huangdi, it offers expert advice on how to achieve sophisticated diagnoses and treatments. Foreword by: Dr Sabine Wilms.